As Laplachue Tyler watched Jacksonville authorities raid Calypso’s Play Our Sweepstakes on Merrill Road Friday morning and learned four other gaming centers across the city were also being shut down, she said she was glad. Called Operation Reel Stop, Friday’s raids were the latest attempt by police, State Attorney’s Office and other law enforcement agencies to shut down gaming centers commonly called Internet or cyber cafes. They let customers pay for Internet or phone time so they can play online casino-type sweepstakes. Sheriff’s Office Director Tom Hackney said they are really illegal gambling houses “plain and simple, ” where operators continue to find loopholes and reopen. 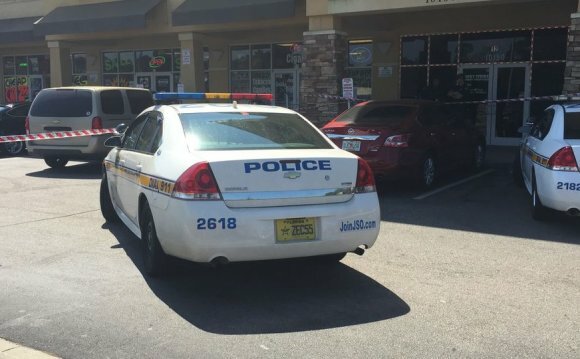 Police raided the Lucky 7’s Cyber Cafe at 5150 Timuquana Road, Spinners Palace Cyber Cafe at 708 Edgewood Ave. N., Calypso’s Play Our Sweepstakes at 6058 Merrill Road, Calypso Sun Cyber Cafe at 7900 103rd St. and Lucky Strike at 10150 Beach Blvd. The cafes had been checked out by undercover detectives to determine if their gaming devices were legal and were chosen because they were in violation, Hackney said. The Sheriff’s Office announced one arrest as of Friday afternoon. Colleen Deann Haley, a 48-year-old employee at the Calypso Sun Cyber Cafe, was charged with being an agent or the keeper of a gambling house, possession of a slot machine and possession of lottery devices, according to her arrest report. Police said Haley was seen taking customer money to play the “casino-style games” and cashing out their winnings, according to her arrest report. Officers seized 75 computer terminals from the 103rd Street center, the report said. The Merrill Road Calypso’s was secured with police tape Friday afternoon, and an investigator was seen walking in with a power drill. At the Lucky Strike in the middle of the Park Place center on Beach, police evidence tape separated the parking lot in half, forcing shoppers to walk in the grass to get around as its front door was guarded by a uniformed officer. The telephones at Lucky 7’s and Spinners Palace were both disconnected. No one answered at the two Calypso’s, and the telephone at the Lucky Strike was busy all afternoon. Clarity over the law has persistently been an issue with these businesses. Hackney said the gaming equipment owners change the software on the machines and think they are within the law.